Meet Katherine Chloé Cahoon, a young(ish?) Vanderbilt grad who has written a book called The Single Girl's Guide to Meeting European Men. The book has turned into videos. Truly incredible videos. Biz Stone, the co-founder of Twitter, has described his company as a "globally meaningful... triumph of the human spirit." One other personal passion: flavored vodka for apple martinis, apparently. Stone doesn't just drink them — he's become a spokesman. Benoît Mandelbrot, the French-American mathematician known for his work with fractal geometry, died on Thursday. Mandelbrot lent his name to the Mandelbrot set—the very beautiful, stoner-friendly mathematical object in this video. Jersey Shore denizen and slutty dress designer JWOWW got paid a boatload of money to tussle with a Snook-alike on a Spike TV wrestling show. Here's a peek at tonight's episode. In two years, this will be her entire career. Deadspin's exclusive story about Brett Favre has been on fire the past week. The scoop by Gawker.com's sister (brother?) site has attracted more than 1 million readers since it was first published and continues to attract national media attention, including an appearance by Deadspin.com editor-in-chief AJ Daulerio on the Today show (see above). 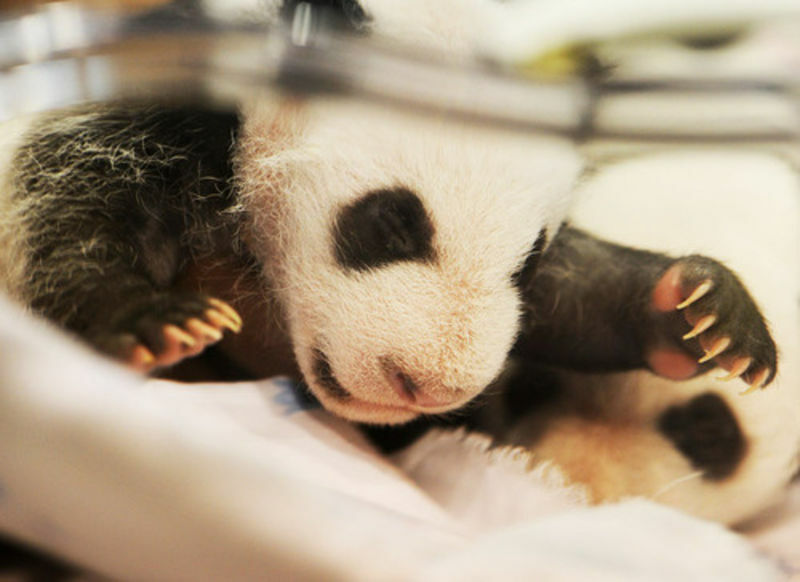 The Madrid Zoo unveiled a pair of one-month-old panda twins today. They're of unknown gender (apparently it takes awhile to figure that out) and are the first panda twins created by artificial insemination ever to be born outside of Asia. The presidential seal fell off the podium during President Obama's speech at a women's conference on Tuesday. My, my, what potent symbolism (and shoddy carpentry). Looks like Maureen Dowd's column will just write itself this week! We knew it was a bad idea when we heard Levi Johnston was making a music video with pop "star" Brittani Senser. But the results are even worse than we imagined. No wonder Bristol Palin dumped Levi. Have you noticed all of the really, really strange, embarrassing, or disturbing political ads coming out this election year? If you've missed any, here's a collection of the year's "best." NY1's loveable goofball reporter Roger Clark, on the scene this morning: "These are the guys that fight firefighters." Debonair anchor Pat Kiernan: "They fight fires, right?" The ensuing 40 seconds of chuckling miscommunication are classic. Never change, you guys. Last night's Saturday Night Live was good, featuring a fictional meeting between crazy Delaware GOP Senate nominee Christine O'Donnell and Republican strategists. In it, O'Donnell loves masturbating and used to hold dogfights "much better than Michael Vick." 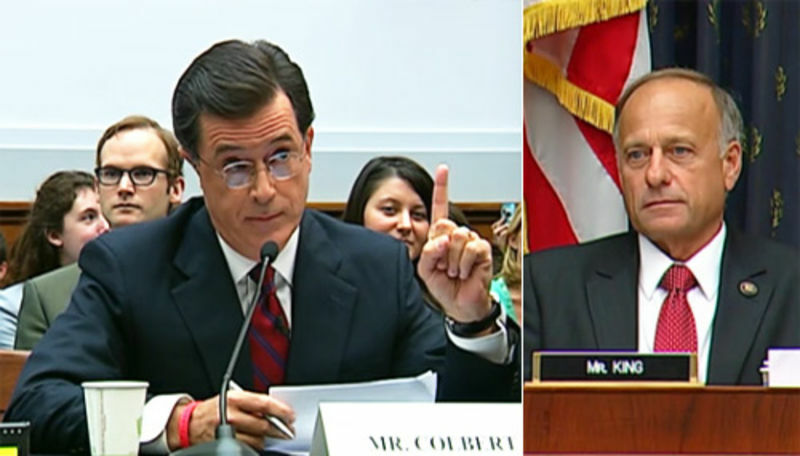 Stephen Colbert made his spontaneous, in-character appearance testifying in a House committee this morning, where he said some very nice things about migrant workers. This came after mean old Rep. John Conyers asked him to leave at the hearing's start. 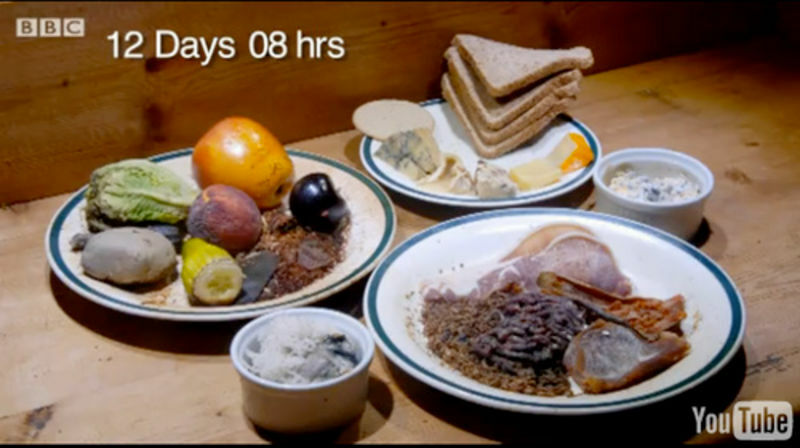 The BBC science show Bang rigged up a camera to film food rotting for two weeks. The resulting time-lapse footage is truly gnarly. If the mold and bacteria don't gross you out, the maggots will. Bon appétit! 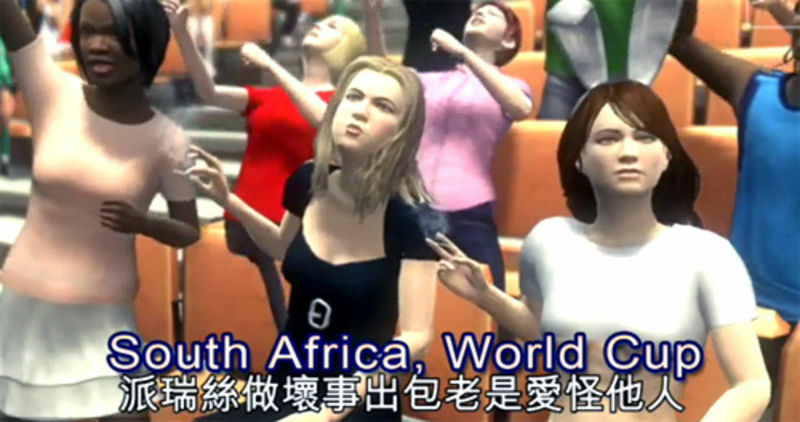 In yet another video from Taiwan's Next Media Animation, Paris Hilton's gift for getting off easy on drug charges is examined through CGI. In it, Paris sells out her friends and sniffs Comet while cleaning a toilet for community service. Both Claire Danes and Courtney Love were celebrity guests at the Narciso Rodriguez show yesterday. Check out this hilarious glare NY1 caught Danes shooting the wasted rocker's way. Francis Bean wishes that look could kill. We won't know if our coverage of the Whoomper conspiracy will win a Pulitzer Prize for another 10 months or so. But at least it's earned the approval of Stephen Colbert. Tonight he dug into Obama's music video "cameo." What's the best part of Lady Gaga's Larry King Live interview tonight? It's not her talk about lupus, Michael Jackson, or "don't ask, don't tell." It's her fabulous variation of the CNN host's famous uniform. They're practically twins!